My advisor, Larry Kuka was amazing! He listened to all my requirements and did everything he could to fulfill them. He is highly knowledgeable about the current vehicles in the industry and provides accurate and honest comparisons. Larry did everything he could to ensure I was happy and comfortable with my new vehicle. 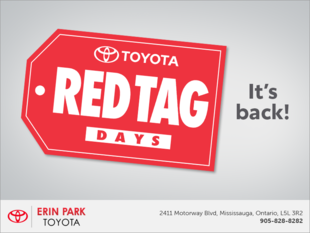 Erin Park Toyota is an incredible dealership and I will definitely be servicing my vehicle there!